This is the Fumo Pipe's party size bowl. This bowl is slightly larger to hold more product. 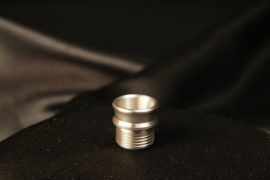 It is available in either Brass or Stainless Steel. It comes supplied with a screen. All stainless bowls and screens are passivated to eliminate any metal taste.